I joined Fusebill as the Director of Customer Experience in December 2018. At the time, I knew that despite my many years of experience I had to make learning the platform my #1 priority. In an effort to work smarter, not harder, I decided to challenge my team to onboard me like we do our customers. In addition to getting a crash course on the platform, this exercise gave Fusebill a rare opportunity for a first-hand view into what our customers experience in the onboarding process. We found new ways to onboard customers, consolidating and creating a unified process around different approaches adopted by team members. The team was ready to grow their knowledge on the edges of our software’s usage. It was a great way for us to quickly get to know each other—a good start to any team’s working relationship. The challenge was such a success that this exercise will now be part of Fusebill staff onboarding. This will require some additional effort from the implementation team, but the process will provide a unique perspective that can reveal blind spots in our onboarding process. While our recent hires learn, so does the Customer Experience Team. Every question asked will reveal areas we may have been taking for granted because of our familiarity with the product and continued involvement in its growth. Onboarding is just one step in mapping out any customer journey, and mapping your customer journey is only one step in developing an overall customer success or customer experience strategy. As a practice, customer success is relatively new. When I think back to my first job as a Customer Service Representative in 1998, Customer Success Management (CSM) really didn’t really exist. Over the last 5 to 6 years, it has become increasingly critical, especially in the SaaS world. Unlike traditional businesses, the SaaS business-customer relationship needs to be built to last through a customer lifecycle, which will hopefully extend for many years. While some business owners learning about CSM compare it to customer service, there is a distinct difference. Customer service tends to be reactive, answering phone calls or queries from customers experiencing trouble. CSM is proactive, working to prevent issues in the first place. Why is this customer not using the product? Why are they only using a small part of the software? Is there anything else we can do to help the customer work smarter, faster, do more with less, etc.? The emphasis is on identifying issues before a customer complains or cancels their service. Despite being relatively new, CSM is integral to SaaS business success from the get-go. Even just one staff member with a basic understanding of ensuring customer success (and the time to do it) can advocate for customers and help prevent them from churning. While sales works to sell, CSM asks, “is this in the best interest of the customer?” The response informs the team accordingly. The bottom line is this: If you lose customer interest, you lose customers. Having someone on your staff dedicated to seeing things from the customer’s point of view is mutually beneficial. You receive productive feedback on your product, and your valued customers stick around. Hence, getting off to a great start makes all the difference to churn rates. Believe it or not, I got my start in this industry while taking a year off from college. The intent was always to go back, but my ability to quickly learn new software applications led me to roles with progressively more responsibility. The rest is history. While I wouldn’t necessarily recommend this path for everyone, I can say that my exposure to different levels—as well as the longevity and variety of industries I’ve worked in—does give me a unique advantage. I worked in the dental, actuarial, aerospace, law, and economic development fields before landing at a PC hardware company. This position led to my transition to software, where I suspect I will stay since I love it so much. The real secret is to solve issues quickly and make sure you don’t make the same mistake twice. Some of my best customer relationships were formed as a direct result of problem-solving. We’d bond because I was there in their time of need. It hasn’t always pleased their account manager, but at least they were still customers! Now at Fusebill, I’m excited to bring all I have to offer and discover what new challenges I’m capable of taking on. One of the first things I wanted to work on at Fusebill was upgrading our process documentation. Now some people may think, “nobody is going to read documented processes,” but that’s not really the point. The point is to have the information available so that if someone on your team comes along and doesn’t know how to do something, there’s material available to reference. It also means that if something “breaks,” you have information to help you fix it. We’ve been really pushing our team to look for any undocumented processes in their day-to-day work and put in the effort to document them. Using a “to do”, “doing”, and “done” board, we track who is taking care of documenting processes that need it. Incentivizing this tracking with prizes for team members who complete the most documentations is one way we’re making sure this gets done. Documenting all our processes means more efficiency, and better customer service. The more we know about how our business runs, the better we can meet customer needs. As I mentioned before, the other big project is onboarding. While we’re having some fun with onboarding new staff members, the exercise does miss one very important piece: the customer’s business. We plan to focus more on this in the coming months. When onboarding a customer, they are learning about your product for the first time, but you are also learning about their business for the first time. There’s quite a bit of give-and-take as all parties teach and learn, and it’s important to be intuitive to the needs of both the customer and their business. At the end of the day, it doesn’t matter what we think about our product; it matters what the customer thinks. Matching our product’s features to their needs must happen easily enough and quickly enough to keep them invested. My big goal right now is to automate and streamline our onboarding process as much as possible. We’re looking into the customer journey, finding friction points, and working to address them. If we can achieve that, we’ll have strengthened that first step in every customer’s path to success. It’s really special when customers help you improve your product. Product managers have a vision, and while they take customer feedback, design happens months before a user sees the final product. You can’t predict how a customer will use a product. Try as you might to brainstorm all possibilities, inevitably some user will come along and find a new way to utilize your features in a way you couldn’t foresee. Unfortunately, these customers often have suggestions that would make your product easier for them to use, but the numbers aren’t always behind them. When trying to satisfy hundreds, thousands, tens of thousands, or more customers, the odd feature simply won’t make it to the top of the priority list. Customers don’t always realize that CSM staff feel bad about people in this position—they want to help, but they are all too aware that a big change won’t happen for a while, if at all. I have discovered a little trick to increasing the odds of getting your feature/enhancement added to a software, however, which I will be sure to share in my next post. Do you have any onboarding tricks to share, or have any thoughts on things we should try next to improve the customer experience? We would love your feedback. I hope to share much more of my CSM knowledge with you as we learn, grow, and help businesses succeed. 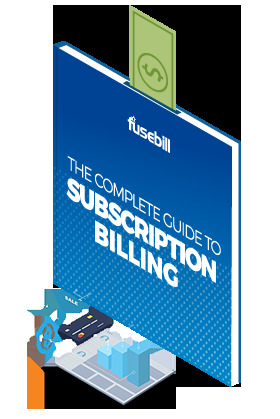 Director of Customer Experience, Fusebill. Natalie is a seasoned technology executive with over 13 years of experience with various technology companies. She has a proven track record of helping to improve customer experience, retention, & the bottom line.